These modern crochet gift ideas can all be made for around five bucks, which means you can give gifts that are thoughtful, stylish AND easy on your wallet. Win, win, win! Welp, it’s about that point in December where I start freaking out about how few days there are to until Christmas. And then I freak out about how much money I’ve already spent. (On myself. ;)) And then I freak out because I want to give everyone something both sentimental and stylish and I rarely know what that is. But one of the aspects about crocheting I love the most is that you can take a ball of yarn and turn it into something that is legitimately cool and you feel proud to gift. 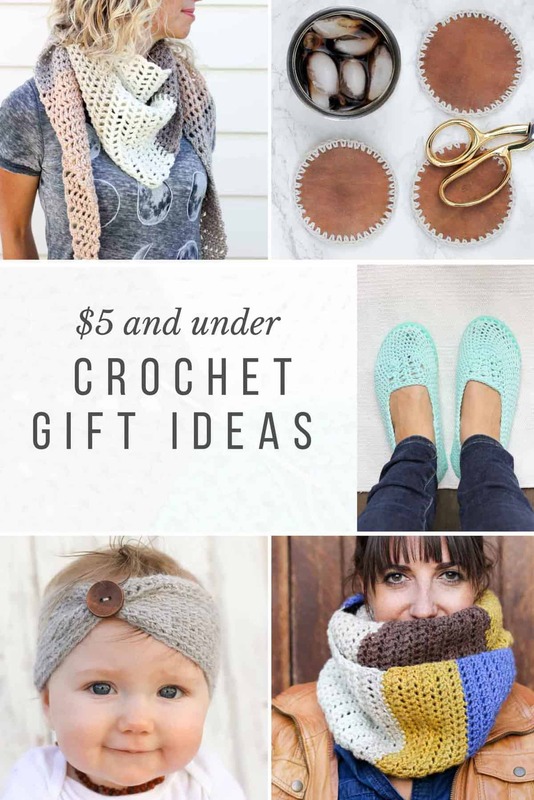 So today, I’m sharing some of my favorite crochet gift ideas than can be made for $5 or less. Whether you need a gift for your your sister, your neighbor or your child’s teacher, I’ve got you covered. Before you pull out your abacus, let me clarify how I’m calculating the $5 per gift budget. 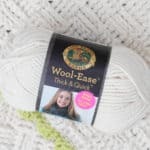 Each of these free crochet patterns can be made with $5 or less of yarn, assuming that you use a 40% off coupon from Michael’s, Joann’s or Hobby Lobby. Since many of us buy our yarn at these stores (or online from these stores), I figured a coupon was a fair assumption to factor in. I hope this list inspires the little elf in you to do some budget-friendly holiday crocheting for the rest of the people on your list! 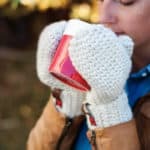 Another benefit of these crochet gift ideas is that many of them can be made in a single evening. Thank you for being a good internet friend and pinning from the the pattern’s original website! 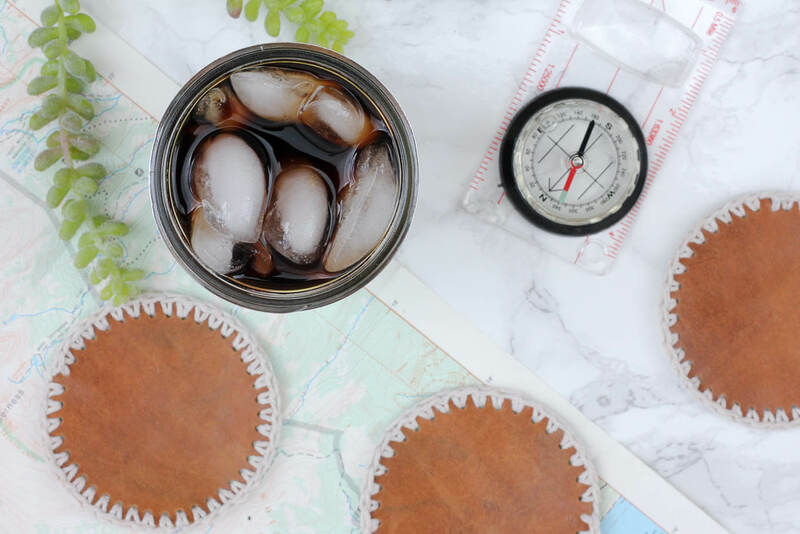 This is the ultimate quickie DIY gift. It’s fast and easy enough to whip together between hanging the stockings and eating frosting the cookies. 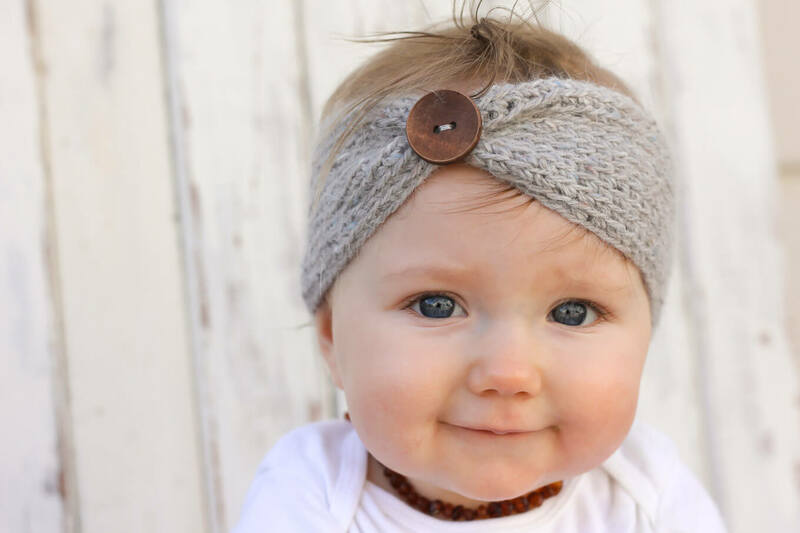 The pattern includes sizes baby – adult which makes it an inexpensive crochet gift idea anyone on your list. 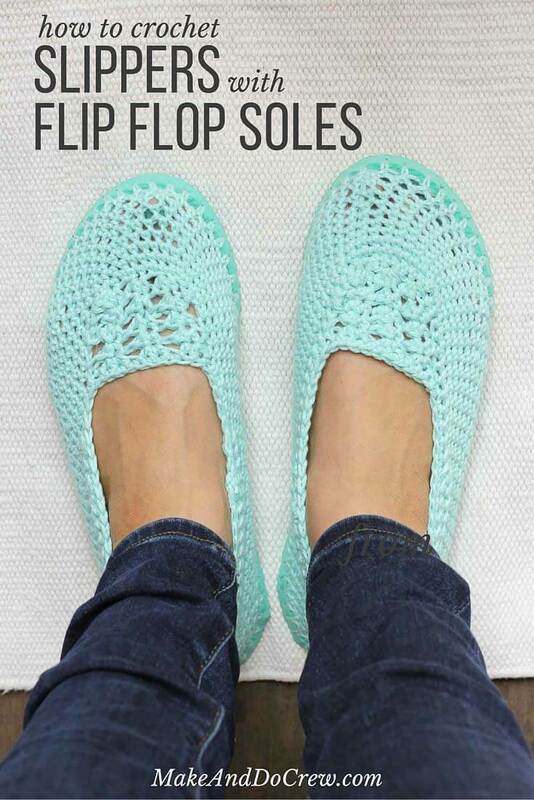 These crocheted flip flop slippers are a serious bang for your buck. One skein of yarn and one pair of flip flops and you’ve got yourself an impressive gift. If you’re up for a bit more of a commitment check out the moccasin, boat shoe, and sweater boot versions. 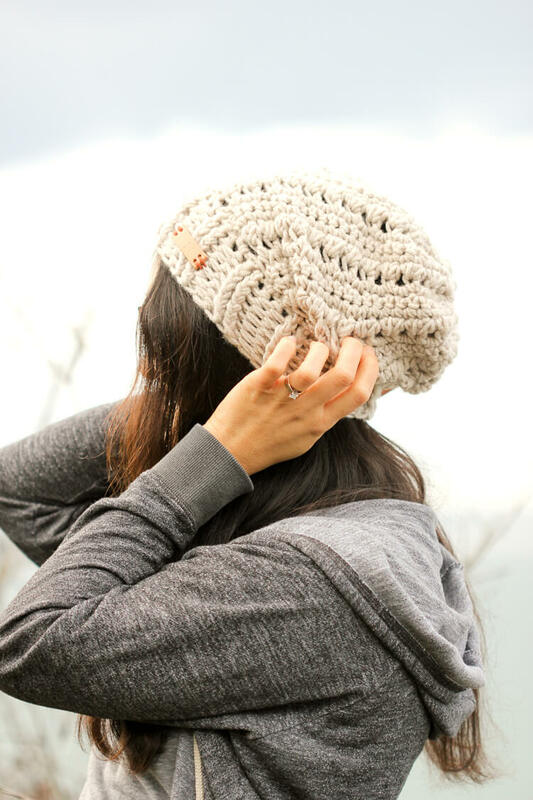 This free hat pattern is equal parts cozy and cute! 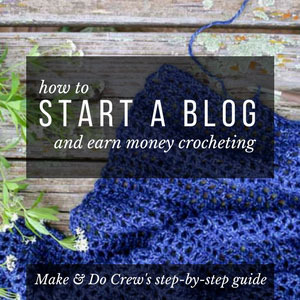 It’s a great project for an intermediate crocheter or a beginner who is looking to step up their game. Nothing says “I love you” like fresh laundry. 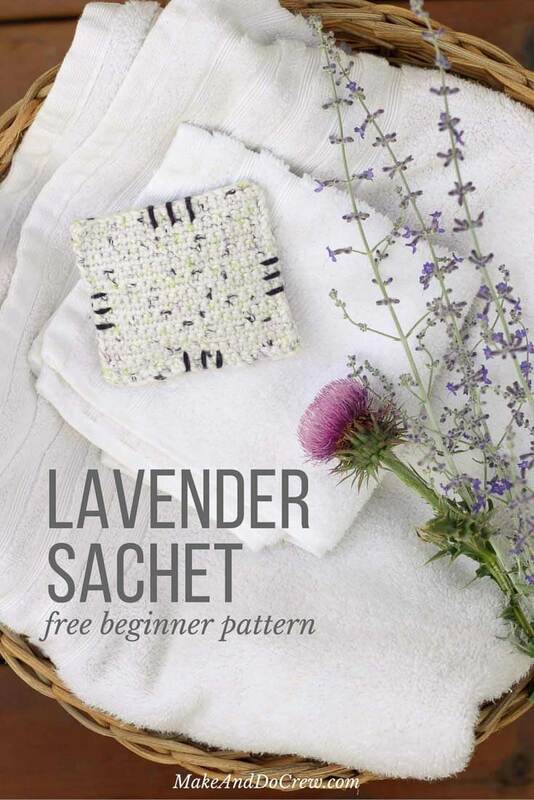 These sweet little lavender sachets are a chemical free and eco friendly way to freshen your clothes. This free pattern is an inexpensive crochet gift idea for beginners to tackle. 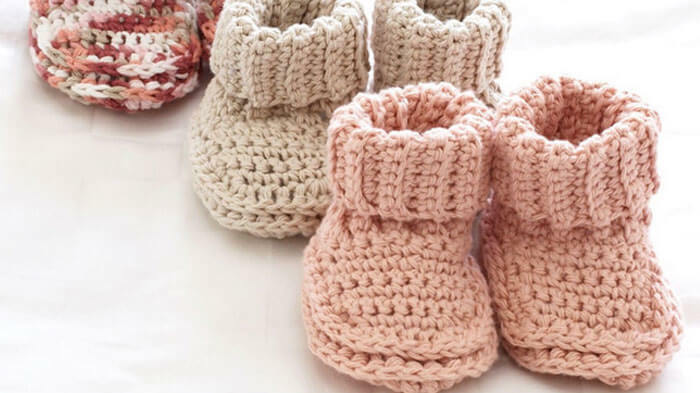 I think every baby needs adorable, warm and handmade booties. These are quick and inexpensive and this free pattern includes three sizes. 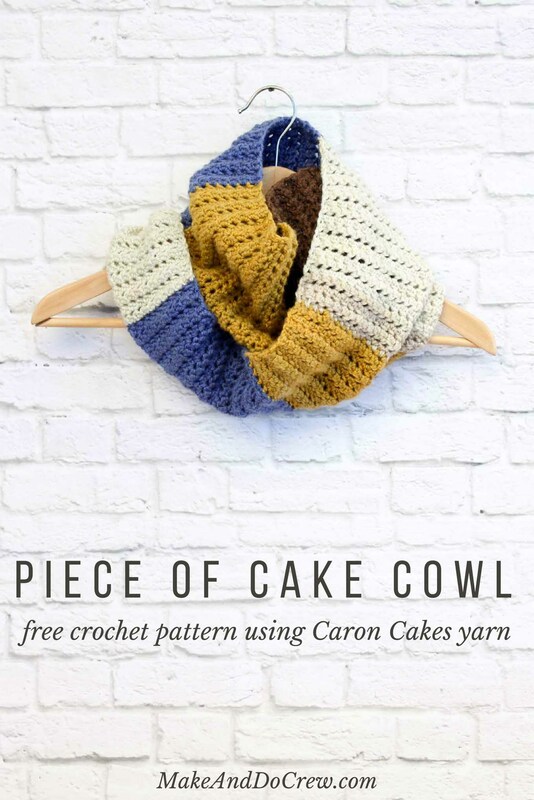 This is a perfect starter pattern if you’ve been wanting to jump on the Caron Cakes bandwagon. It’s a quick little diddy and the pattern is simple enough to follow even if you’re not an experienced pattern-reader. This one-skein project has a surprisingly simple construction. 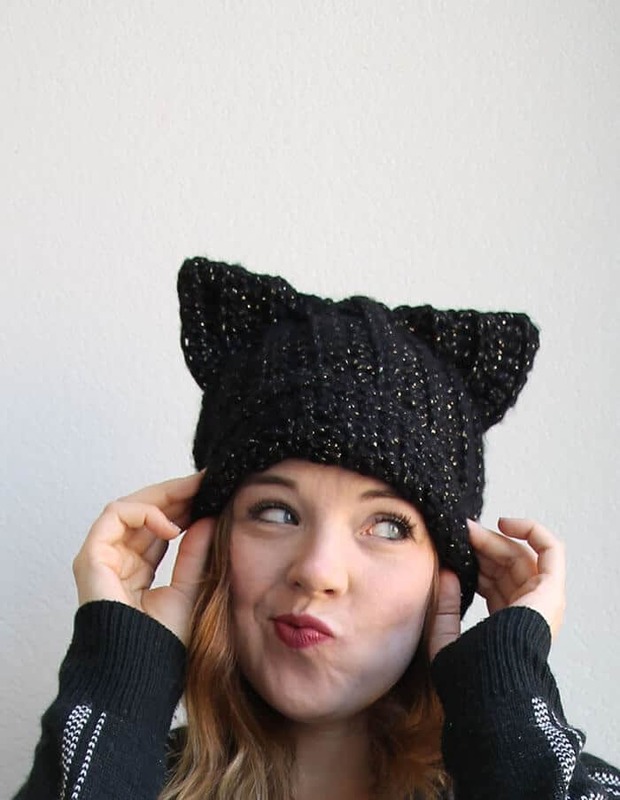 Make one for all your feline-loving friends. I’m including another Caron Cakes project because they inspire so many inexpensive crochet gift ideas. You aren’t responsible for picking the colors and you can still get a beautiful stripped scarf from a single budget-friendly skein. 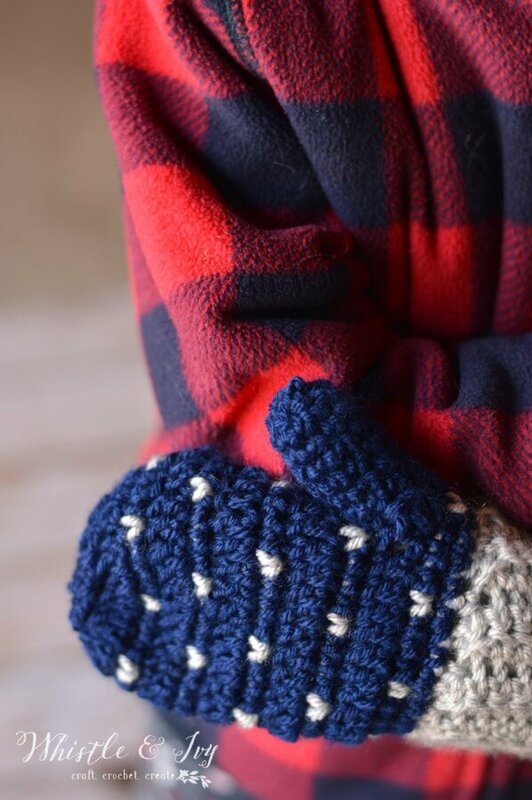 These nifty little mittens are fun to make and are just darling. And I love that this stitch looks knit. You can vary the look of these mittens quite a bit just by pairing different colors of yarn. 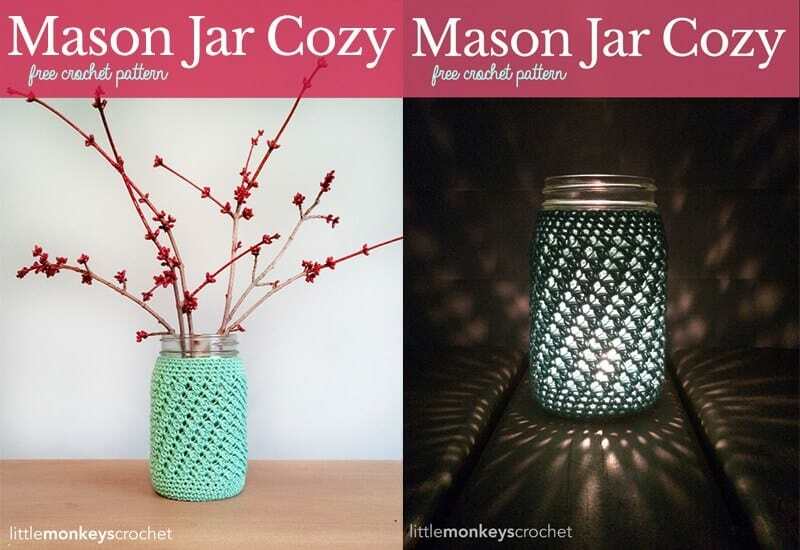 These mason jar cozies are so versatile. They can make a flower vase extra cozy or serve as a beautiful lantern by adding a tea light. I think they’d make an excellent crochet gift idea for a teacher or neighbor. I know some people have a go-to crochet gift that they make dozens of each year. Are you one of those people? If so, please share you favorite patterns in the comments! Bonus points if the supplies are under $5! You should get it within about 5-10 mins. It would have come from “I Love Knitting.” If you don’t find it in your spam or junk folders, please send me an email and I’ll get it to you right away. Jess (at) makeanddocrew (dot) com. Hi ! 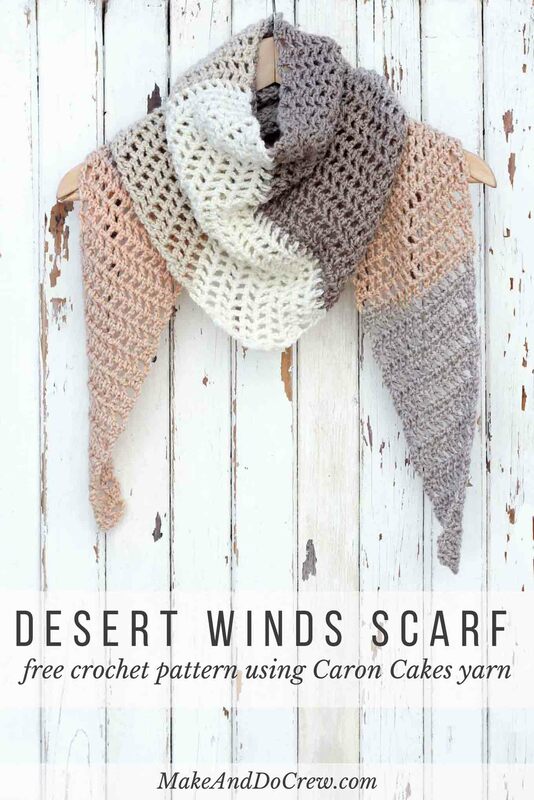 I’m new on here and trying to wrap my brain around this beautiful Desert Winds Scarf. I’m not new to crochet but have never done a pattern like this and am having trouble getting started. On the turn chain crochets, when you say work an additional chain one and double crochet do you mean two together in one chain as in a normal increase, or just two crochets side by side without skipping a chain? The last ch1 and D.C. Seems to be done in the space of the turn chain?? If I could just get past this I think I’ll be fine. Thanks! I just uploaded a photo of the chart with more notes on it that I think might answer your question. Take a look at that and let me know if you’re still confused. I’m happy to help! Congrats! It should be sewed to create a big loop (no twists, just big flat loop). Then you can wrap it around your neck 2-3x depending on how loose you like it. This Christmass I made a crochet napkin holder as a present. My house has a nice garden and in the summer is great to eat or entretain outside but paper napkins are a problem because they tend to fly away with the smallest wind. This present was just perfect to prevent that problem and is the really easy. I have not done any crochet in a lot of years and saw this at a restaurant in Northern Brasil just knew I had to try to do it back home. Now you have something that resembles a square box. You can make more rounds if you want to hold more napkings or do singlestitch if you want it more firm. Thene you knit another granny square same size as the first and sew it on top. You start sewing it in the middle of one side, sew de next two sides completely and end in the middle of the last side. Now you have one corner free as a flap. you pull it back until it reaches the center of your granny square and tie it there with a stitch, a button, a bow or any chosen accent. Let me know if you´d like to see some pictures. Thanks for all your pattens!! I forgot to mention english is not my first language so, please forgive any spelling mistakes… I read a lot in English but I seldom write it!! !